Pichets in Paris Publishing - Stories set in Europe - Predominately France: Let's travel to Barritz in France's South West. Beautiful pictures for you. 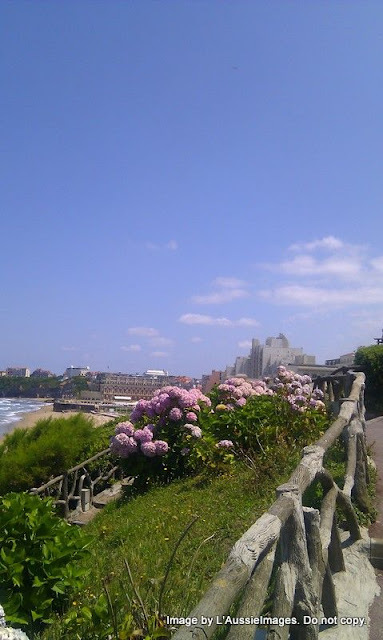 Let's travel to Barritz in France's South West. Beautiful pictures for you. A prime destination well branded by the passage of Napoleon III and the Famous, Biarritz has always been one of France’s most welcoming towns. A century ago, thanks to the Empress Eugenie, the little whaling town became a fashionable summer resort that, through the years, has stayed open to the outside world without ever losing its identity. 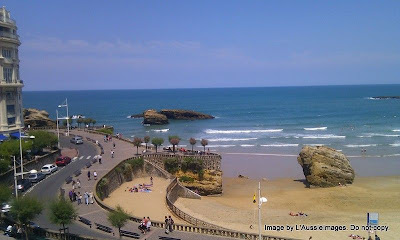 Today, Biarritz is undoubtedly the only town where you can see neoprene-clad surfers with their boards under their arms crossing paths with business men in suits and ties carrying towels. 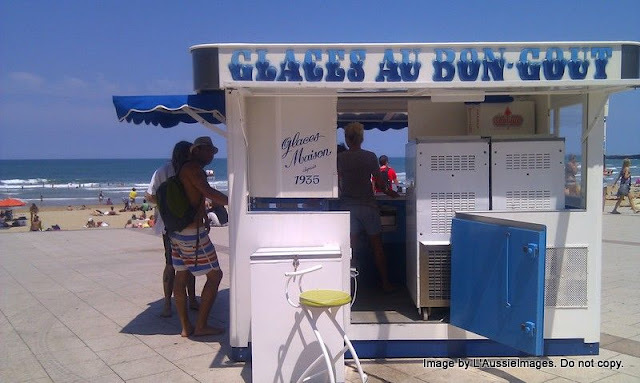 A funny image, yet so common... Open and cosmopolitan, Biarritz, the pearl of the Basque coast, carries this mix of styles close to its heart and loves bringing opposites together. On my trip to France last year, I visited Biarritz for the first time. 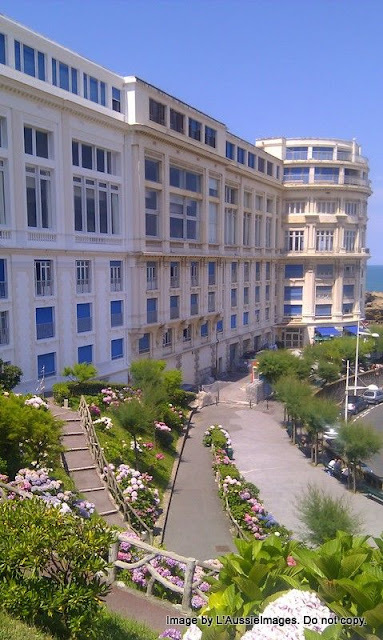 Maybe it was the fact that it was a perfect day weather wise, but I thought Biarritz was gorgeous. 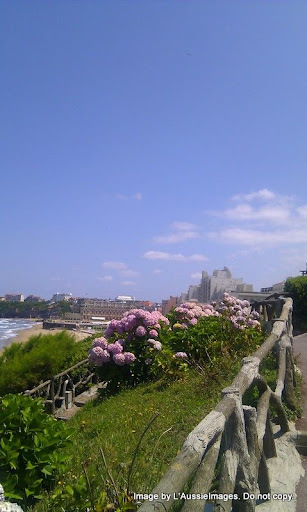 I fell in love with its romantic setting - blue ocean, pink and blue hydrangeas falling down the terraces and the window boxes, the beautiful eateries close to the water - I thought it was paradise. I know it has a reputation for faded glory, but to me it was glorious. I wish it was that easy to get to Paris. I saw on your profile that you liked the film, Rabbit Proof Fence. I cried myself to sleep the night I watched it! Hi Art and Sand. I just had to help my daughter review Rabbit Proof Fence. Was so sad revisiting it. Diane. So close to you. 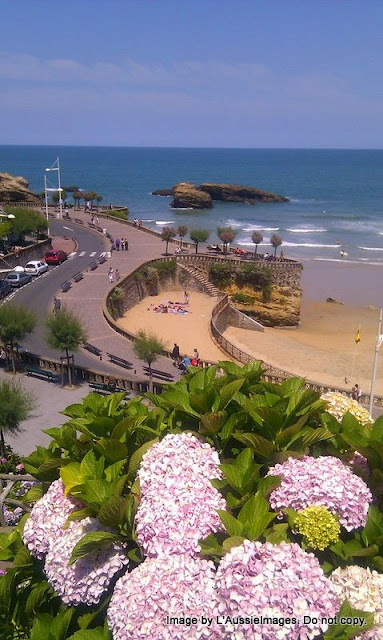 Yes, you must spend a day or even half a day at Biarritz.